Here’s a post on how to make Tahini Paste at home! I am amazed that I am blogging about something which has sesame seeds as the key ingredient. I have never liked sesame seeds, my earliest memories are of my mum making some cutlets dusted with sesame seed crust. This particular evening I was excited about mum trying a new recipe and I was looking forward to hog the snacks after a long session of working on a crucial college project! But my excitement disappeared once I took a bite and the slightly bitter sesame seeds greeted me. It was one of those moments wherein you are so put off with something that you form a very strong perception. Ever since then I never tried anything which had sesame seeds in it. Cut to 3 years back when I landed in Dubai and munching on toasted pita bread and hummus became a way of life. Initially I was quite ignorant and thought hummus is made only from chickpeas but a quick check on Google proved me wrong! When I tried making hummus the first time, I skipped the sesame seeds and the consistency of the hummus was very off and watery. I decided to take the plunge and add the tahini paste and after seeing the difference they make when added to hummus, I was a convert! Dry roast sesame seeds on low heat until they have acquired a light golden brown color. 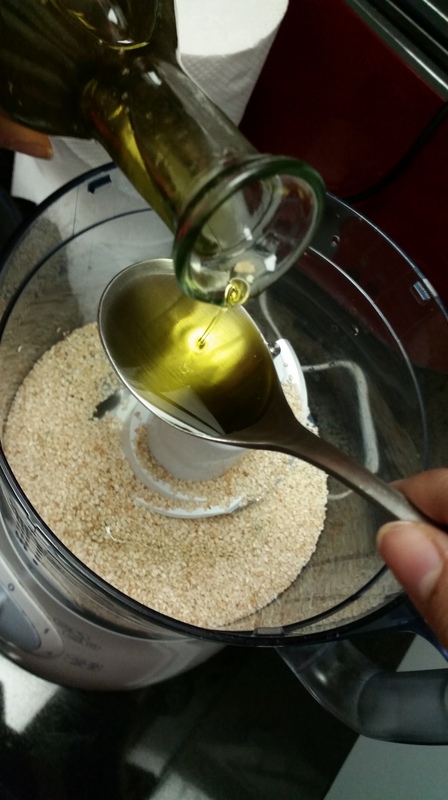 Blend the roasted sesame seeds with little water and olive oil until it is a smooth paste. Voila! 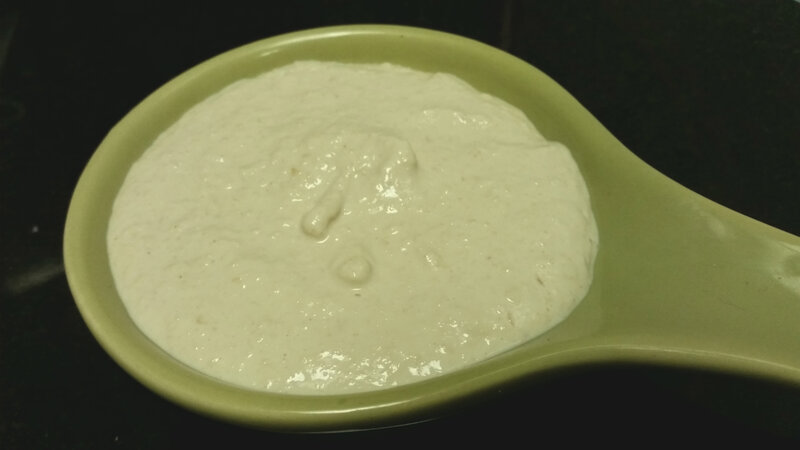 Home made tahini paste is ready to be used in making the super-healthy hummus. I love the creamy and nutty texture they give hummus. I always make a big batch one fortnight and use it during the week to whip up fresh hummus. It stays well for a month if kept in a airtight container refrigerated.